METTLER TOLEDO knows that listening carefully to our customers is the only way to create amazing solutions. 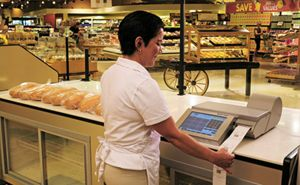 Our retail experts will craft a solution seamlessly integrated into your existing systems. 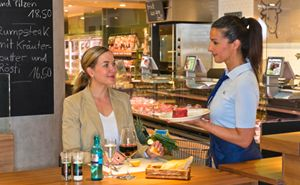 Whether you are the largest retailer in the world or an independent merchant, METTLER TOLEDO can precisely meet your needs. Select an application group below to learn more about our innovative technologies. The fresh department serves as an area of differentiation. 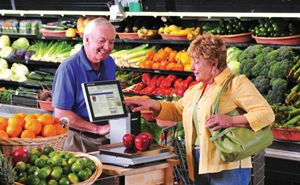 Utilize weighing equipment in the fresh department to increase sales and enhance the shopping experience. 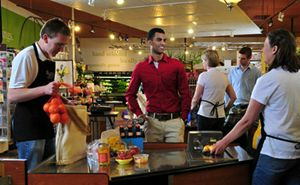 Our service counter solutions go beyond weighing and labeling, transforming the fresh department into the hub of your store’s operations. 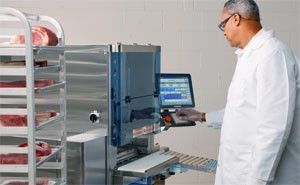 Our weighing, wrapping and labeling solutions are designed to be robust and easy-to-clean, integrate with ERP systems, and support traceability and nutritional regulations. Our weigh price labeling systems support high volume baked goods output for optimal presentation in product display cases. From checkout solutions that integrate with leading POS and scanner platforms, to check weighing applications, our checkout scales offer performance, speed and reliability. 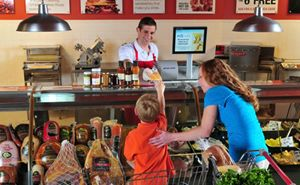 Our weighing and payment collection solutions offer the flexibility to extend your customers’ shopping experience beyond checkout.